I am a makeup lover and I love doing my eyes and nails, I never go out without a liner n a gloss. The look which I represent in front of you all is when I was getting ready to go with my sister to a shopping mall, it took me just 5 minutes to get ready. 4. Colorbar matte touch lipstick orange punch on my lips. These products are very easy to use and do not take much time. I started with my base and then my eyes followed with my blush and then my latest favorite Orange punch lipstick. And after doing my hair a bit of perfume I am all set to go for shopping. I hope you all will like my look. My everyday makeup look is simple and natural as I’m a college student and don’t want my professors to give me wired looks. :P I can’t go with a red lippy or smokey eye otherwise my teachers will think that I’m not studious and I only care about fashion/makeup and they won’t give me internal marks ;). 1. I first moisturized my face and then applied Maybelline bb cream as it hides my minor blemishes and evens out my skin tone. 2. After that I apply lot’s of Maybelline colossal kajal. 3. I’m currently in “colored eye liners” phase so I usually apply colored ones only as they don’t look OTT. 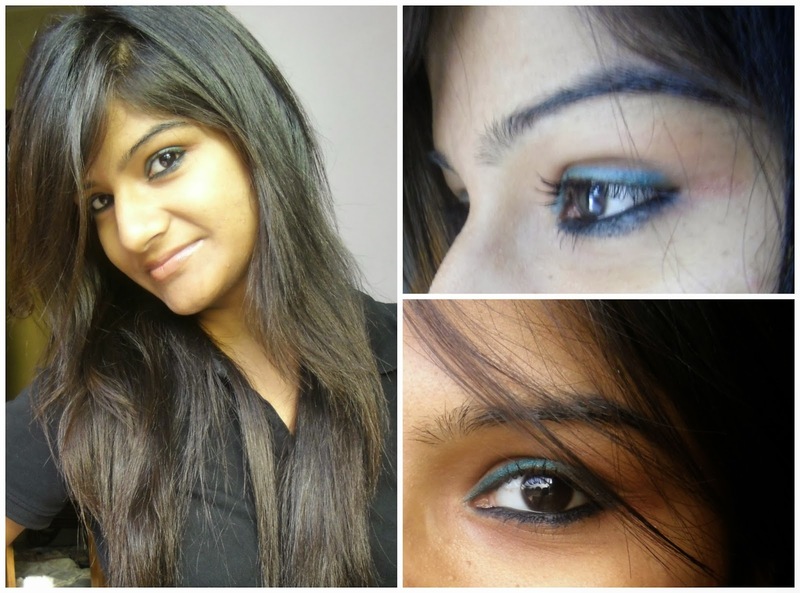 Here I have used Diana of London shooting star green eyeliner. 4. I finished my eyes by applying two coats of faces all time mascara. I hope you liked my look. J Thank You! Both looks are awesome pretty. Keep in touch. 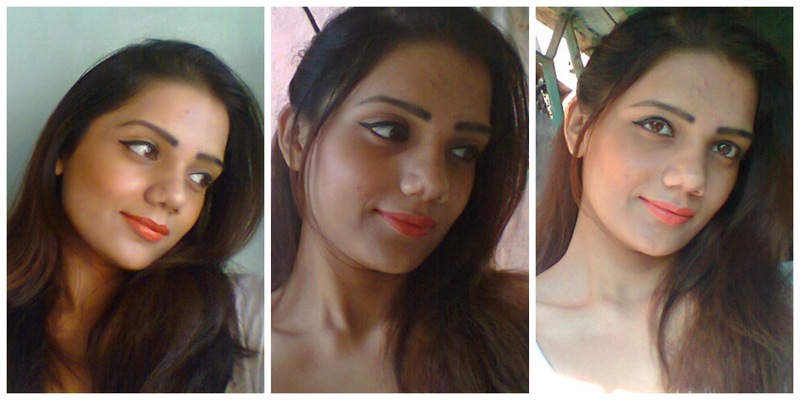 thnku mansi....al d best to u too...nd ur eye makeup is fab. Nisha - Superb look ! Both of u looking just Wow!